Introducing SM7. Put the highest level of wedge performance in your hands. 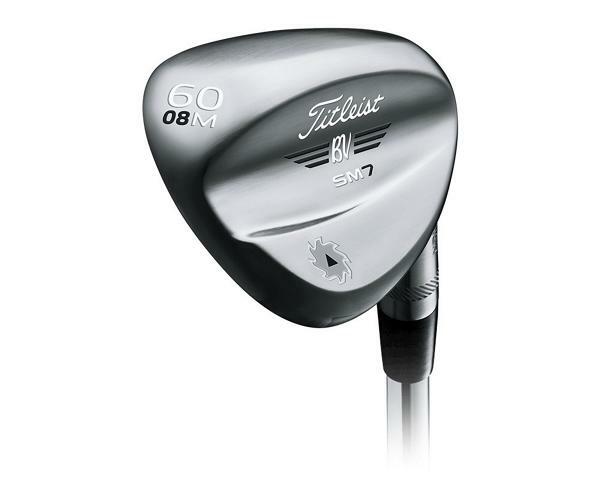 The center of gravity in SM7 wedges has been precisely aligned with the impact position, and is progressive by loft to produce exact distance and ball flight control. Spin Milled technology provides players with maximum spin, control and consistency. The grooves and parallel face texture have been optimized based on loft and finish. Played, proven and perfected on Tour, Vokey wedge grinds are the game’s benchmark in creating shot versatility for any level of player in any type of condition.